HOLIDAYS are a little different when you're a James Cook University veterinary student - just ask former Scots PGC College student Maddie Caithness and her friend Zoe O'Brien. During what was supposed to be their first few weeks of freedom after pencils down on exams and study for the year Maddie and Zoe arrived at Allora from their Townsville university, James Cook, early last Monday for a week of work experience under the watchful eye of Josh Milton at Milton and Hall piggery and white suffolk sheep stud. The Bush Telegraph caught up with the girls on the shearing day of their work experience. 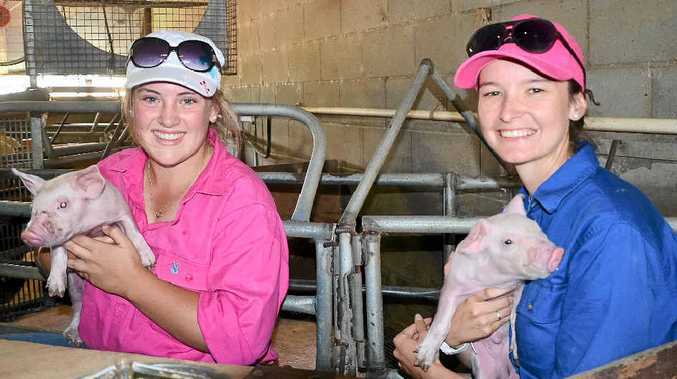 The girls must complete 12 weeks of practical on-farm placement in the beef, dairy, sheep and horse industries plus a week in either pigs, aquaculture or poultry and a week of clinical work. 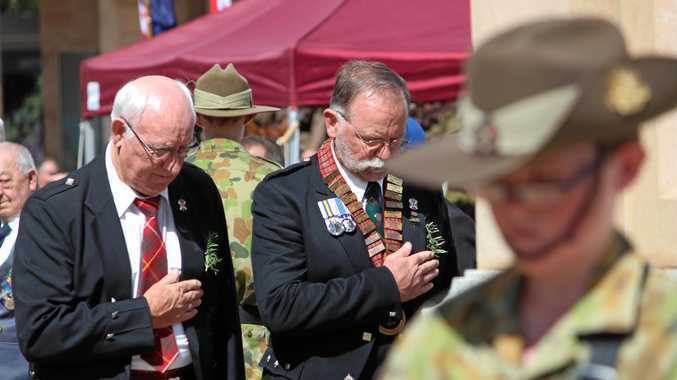 Read more about their experience, as well as finding out all the latest rural news and information, seeing who's been spotted out and about and checking out the critical market trends, in tomorrow's Bush Telegraph.